This product is really quite amazing! I simply love it and, I am now on my 4th bottle of this wonderful stuff! 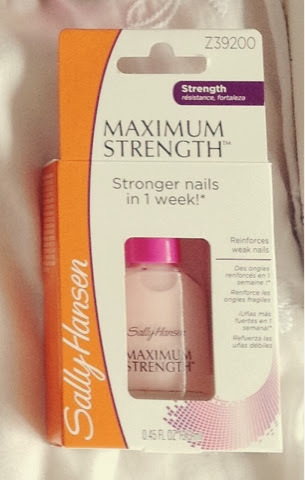 The product I'm talking about is Sally Hansen's Maximum Strength nail polish. Which retails in Boots for £4.85 I believe (although I can't find it on the website). In the past I've used this product before but not properly, I just used one coat as a base coat and not as a proper treatment. Now I've been using it the correct way, applying 1 coat everyday for a week. Then taking it off and doing the same for the next week, etc. However sometimes on the end of the week, or towards the end I'll paint them because they're strong enough to handle it. It really does make a difference! 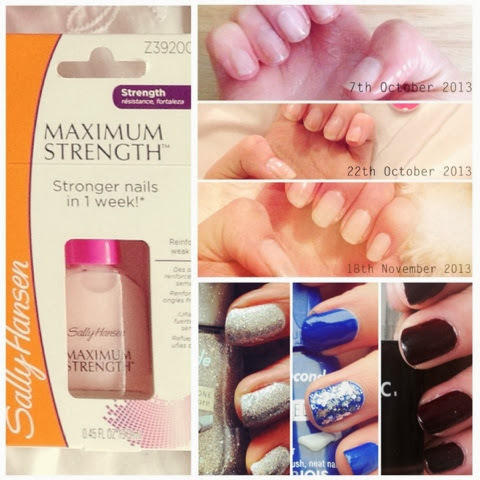 My nails are much stronger, no longer do they break as easily, bend, or just being really brittle. 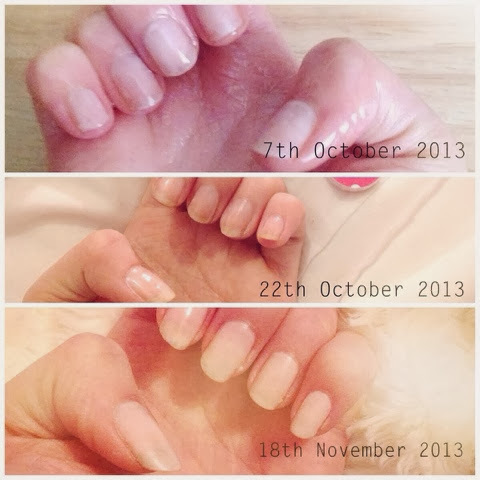 It also helps my nails grow, after getting acyrillics done for my holiday in July, my nails have been awful! Before my holiday they were fine, but after I got the acyrillics off they wouldn't grow, because they kept breaking and so on. 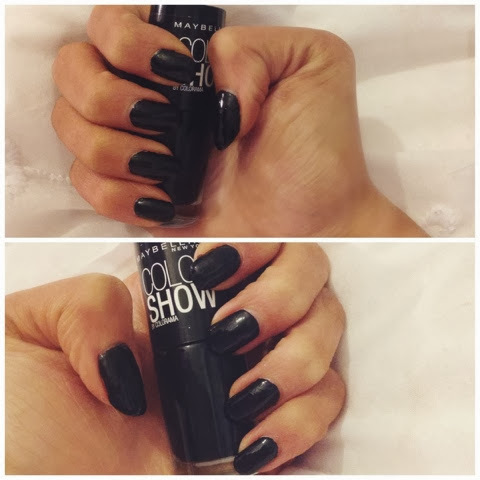 However, now in December my nails are long and strong, I honestly do think that it's due to this product!